To visit the exhibition »Christian Dior – Designer of Dreams« at the Victoria & Albert Museum, sisterMAG founders Thea and Toni took their mum and Fashion Director Evi on a short trip to London. In this newest issue, Thea tells you about the best spots and activities to enjoy in the capital of Great Britain. Read the 1.5 Days in London report here! Every now and again, an exhibition draws enough attention so that people from all over the world pack their bags and go on a pilgrimage to see it. The Christian Dior exhibition that opened in Paris with the title »Christian Dior, Couturier du Rêve« is one of them – and it has now moved on to London, where it is called »Christian Dior, Designer of Dreams«. The couturiers love for Great Britain and London was reason enough for us to take our sisterMAG readers to England’s capital. »There is no other country next to my home country whose way of life I appreciate as much« Dior once said about Great Britain. If you’re planning on packing a small suitcase to head to London and visit the exhibition (a detailed report on page 128), you’ll find a guide for a 1.5 day trip to London! We’ve listed some classics and some secret spots that are worth visiting. Our guide was put together by sisterMAG founders Toni and Thea who visited the Dior-exhibition with their mother Evi. Our plane arrived in London in the late afternoon. Border control and airport security are an issue for every visitor of Britain’s capital so you should plan at least (!) 2-3 hours to get into town. Even though citizens of the European Union technically don’t need their passports yet to enter the country, you should bring yours to be truly safe. The new electronic passport features (a small sign indicates a biometric passport) with automatic control shorten the waiting times by at least 30-40 minutes. The airport includes typically British chains like Costa, Nero and Prêt-a-manger with options to get a quick coffee for the long trip to central London. We started our tour of London by having proper afternoon tea. This famous occasion comes with many rules that should technically be applied. Usually, black tea (for example Earl Grey) is served with milk – and the controversy begins right there: Some people are firmly in camp milk-in-first = MIF; some always put the tea in first = TIF. Along with tea, most restaurants offer small sandwiches, scones and cakes on two-, three-or even four-tiered serving plates. When researching the Top10 Tea Time destinations in London, there is no way around Brown’s Hotel (founded in 1837). It’s known for its traditionally Victorian-English atmosphere paired with modern design elements. Besides the tea room, their bar is also well worth a visit. On the hunt for signs of Christian Dior in London, the Old Bond Street offers the modern equivalent of luxury. You can go window shopping and admire the stunning displays at Louis Vuitton and more as well as the stunning architecture. One highlight is the »Royal Arcade«, built in 1879, and the first arcade of its kind that was built for commercial purposes only. The saddle roof, richly decorated stucco-arches and iconic columns have hardly been changed over the past 138 years. The original elements have been kept and make it one of the most prestigious Victorian arcades. Take a stroll there after sunset to enjoy the beautiful lights. Buy a box of chocolates at Charbonnel et Walker. The company was founded in 1875, when the reigning Prince of Wales, Edward VII convinced two ladies Virginie Eugenie Lévy, born Charbonnel and Minnie Walker to start their own confectionery and sweets shop. Most of the online tickets are sold out until the closing date (July 14th 2019). Arriving early is worth it – being there 1-2 hours before the museum opens will significantly cut down on your waiting time. Another tip: The exhibition is free for members of the V&A. To pass time a little more quickly, you could read a book on the steps of the V&A, chat to a friend or listen to something. Of course, podcasts and books can be enjoyed at home too. But we’ve put together reading and listening material around the topic of Christian Dior and more. Enjoy! Podcast »Business of Fashion« with Maria Grazia Chiuri on her perspective on Dior from a female point of view. Novel »Flower for Mrs Harris« by Paul Gallico – Enchanting story about a cleaning lady from London whose biggest wish is a dress by Dior. Podcast »This American Life« episode 654 »The Feather Heist«: A flute player breaks into a British museum and makes off with a million dollars worth of dead birds. Why and what happens next. Roman »I’ll Drink to That« by Betty Halbreich with Rebecca Paley – Betty Halbreich talks about her long life as a personal shopper for Bergdorf Goodman. Podcast »Glossy« – Glossy is a weekly show discussing the impact of technology on the fashion and luxury industry with the people making change happen. 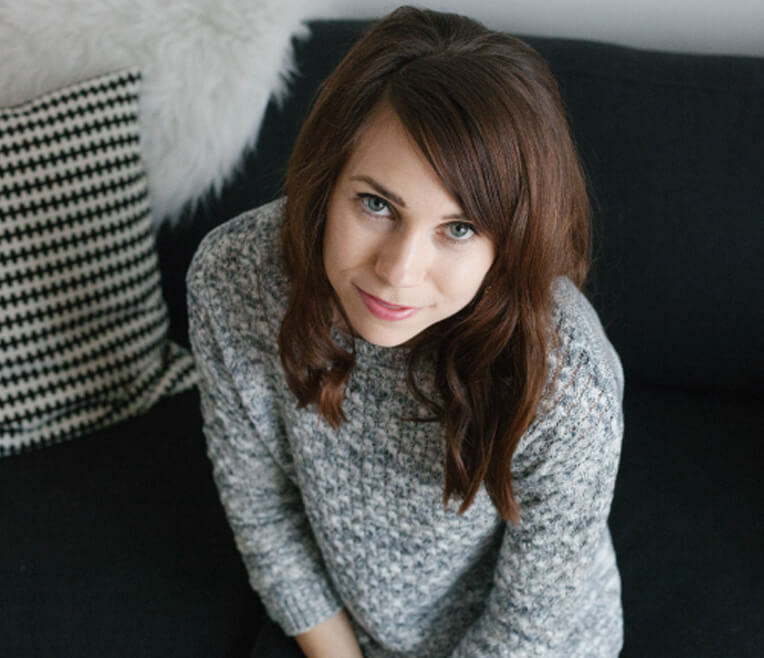 Podcast »ADAY Founder Nina Faulhaber« sisterMAG Radio Podcast episode 21. Novel »Gods and Kings: The Rise and Fall of Alexander McQueen and John Galliano« by Dana Thomas. 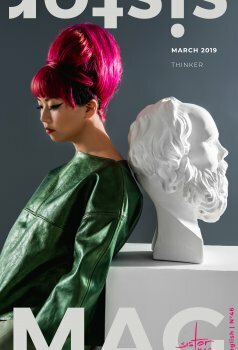 Novel »Tales from the Back Row« by Amy Odell Collection of personal essays about a young woman working in the fashion industry. When leaving the V&A, do not use the main entrance but enjoy the atmosphere and quiet elegance of the Exhibition Road courtyard. Also stop by the Museum Café for a sweet treat and a coffee. ALSO: the museum shop and the inside court of the V&A are worth a visit! Every London corner has a beautiful restaurant, café or concept store to attract visitors. 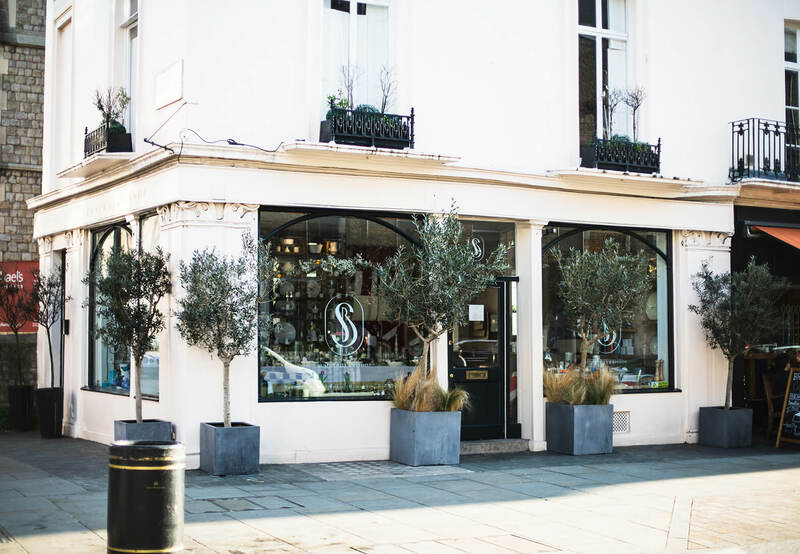 We took a short trip to Marylebone and had a small snack at Sourced Market on Wigmore Street. The first one was opened in 2007 and Sourced Market now has four different locations around London. The concept: local, British produce. The idea: bringing farmer’s markets to central London! To make the most of our trip, we tried taking the bus instead of the Tube. Line 74 took us from the V&A to George Street. From there, it took us only 8-10 minutes to our next stop: VV Rouleaux. VV Rouleaux is a modern haberdashery located in the heart of London. Ribbons, trimmings and feathers are only a few of the things they have for sale. The shop also hosts workshops about making flowers from fabric or fascinators. The decorations and colourful features are worth a visit. After a long visit to the museum and a quick snack, we went off for a stroll on the high streets. It almost doesn’t matter which one you pick since most districts offer you an equally beautiful selection of both independent and more well-known shops. Marylebone has been a popular part of town since the 17th century, as a list of famous inhabitants of said district proves. We favoured the more calm and elegant Marylebone High Street over the crowded and well-known Oxford Street. There’s only a short walk between VV Rouleaux and the southern end of the High Street. Arguably the most beautiful book shop in London is situated on Marylebone Street. Daunts Books is a stunning three-storey Edwardian shop with an elegant back room with an oak terrace, glass ceiling and windows. Following tradition, Daunts Books sort their books by country of origin and not by categories like novels, non-fiction, biographies or travel guides. This makes searching for the right book an international experience! The most traditionally British dinner is served at the Prince Regent. After finding a seat between lots of rugby fans, we ordered classic fish and chips. The battered fish is so tender that it almost melts off the fork, and the chips are accompanied by tartar sauce, mushy peas and a slice of lemon. Fischers is inspired by an Austrian coffee shop and the perfect reason to get dressed up. The café and restaurant has 100 seats for guests that come for breakfast, lunch and drinks and dinner. 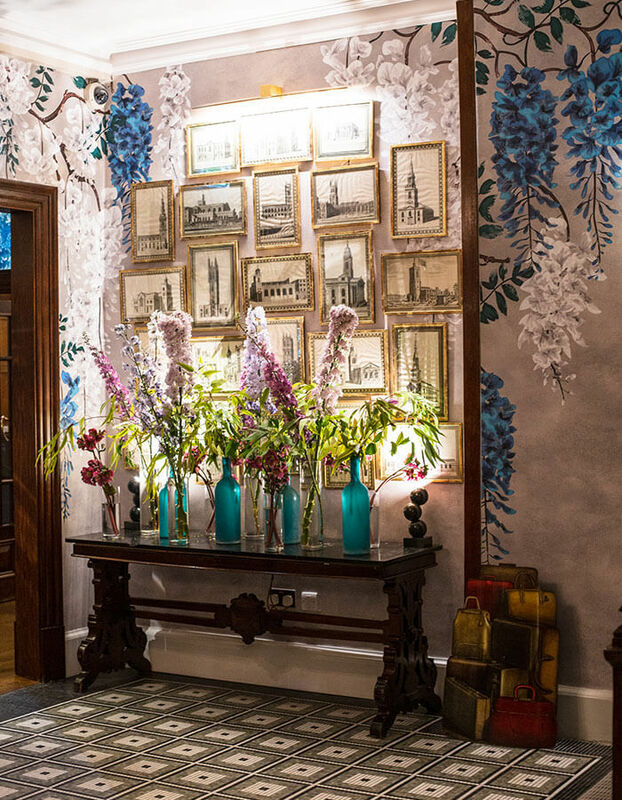 Fun fact: Fischers was shaped by industry heavyweights like Chris Corbin and Jeremy King (both are known for the re-opening of the Wolseley in 2003). The Conran shop is located inside an old stable. The eclectic mix of kitchenware, furniture, lighting, textiles and art combine a mix of classic and innovative pieces. The most important bit is the first level with its »Ultimate Conran Apartment«. On the way back you also have to schedule time for the commute and security at the airport. 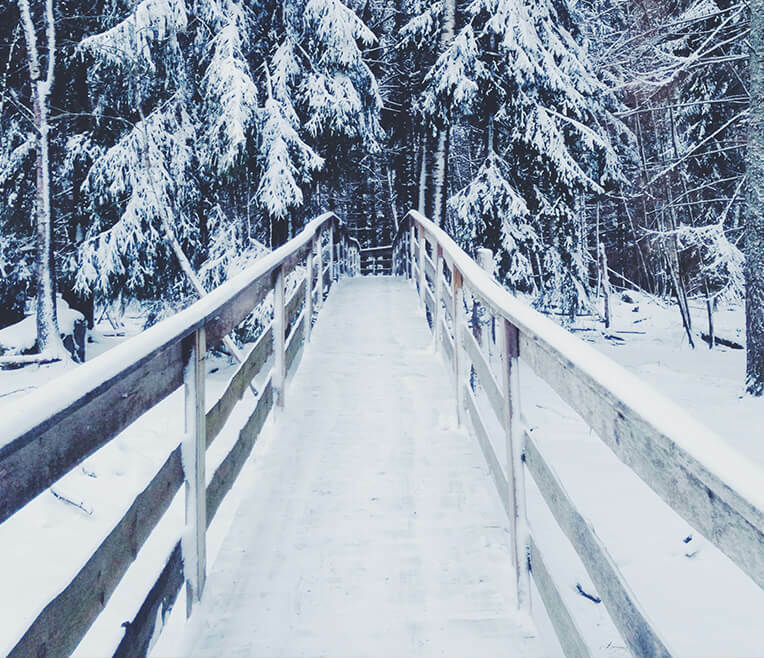 If you’re lucky enough to travel via Gatwick, your trip could include another small highlight. 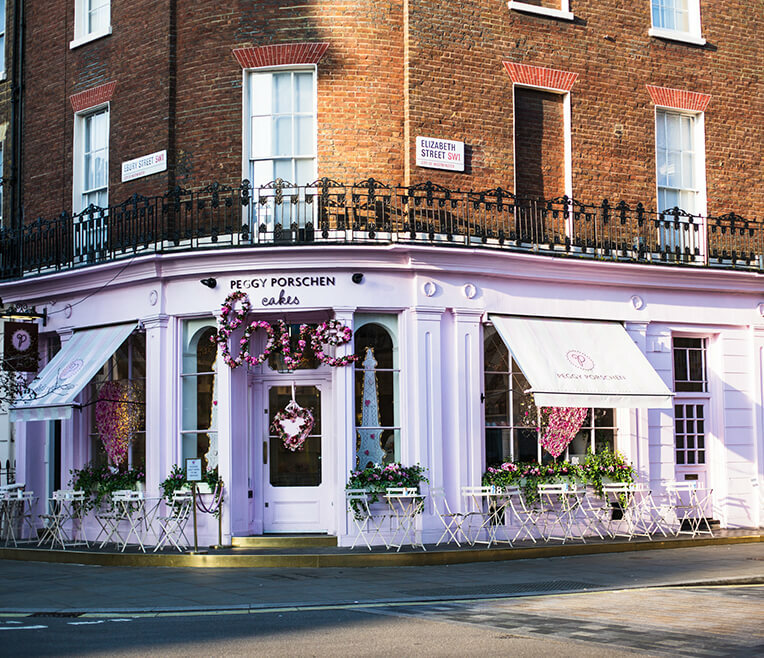 A 10-minute walk from Victoria Station (where the Gatwick Express leaves), you can find the famous Peggy Porschen café. The German pastry chef rose to fame when stars like Gwyneth Paltrow and Stella McCartney started ordering their cakes and biscuits there. The pink corner café on Elizabeth Street is almost always completely booked out and walk-in customers have to queue for a good while. But on Sundays, the café opens at eight in the morning and is usually empty for a couple of hours except for a few locals. Take a seat in a rose-coloured dream and enjoy a piece of cake and a cup of coffee before hopping on the train with a sugar rush. 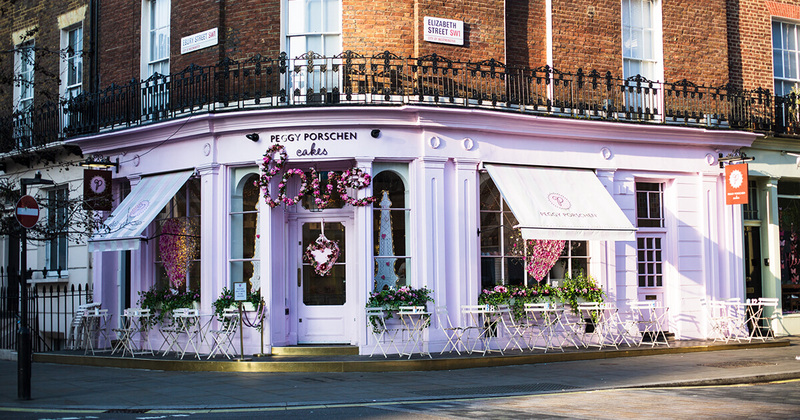 The café Peggy Porschen is located on Elizabeth Street – if you have a couple more hours you should definitely take this into consideration. The connecting street between Eaton Square and the traffic-regulated area around Buckingham Palace Road offers an almost rural selection of shops, restaurants and cafés. While Peggy Porschen and Dominique Ansel are famous for their sweet creations, Catherine Muller offers stunning floral arrangements. Budding brides can head to Jenny Packham for beautiful jewellery and Philip Treacy for hats.